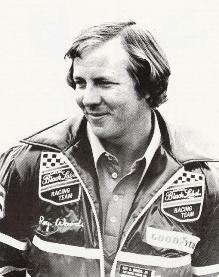 Editor's Comments: This is the second of George's two-part article on the return of professional road racing to Oklahoma in 1977. 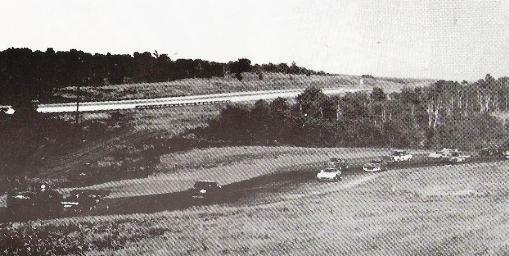 The first race was an IMSA event held at Hallett earlier in 1977. On July 30, it was big time racing again, this time SCCA-style with the Trans Am featured. Filling out the weekend was the Bosch Gold Cup of Super Vees and the Bilstein Scirocco Cup Challenge. 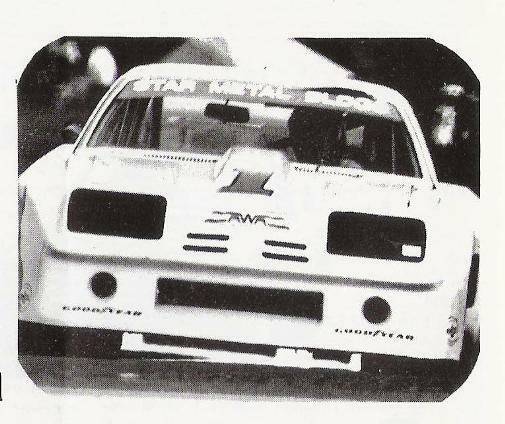 The old names in Trans Am racing have disappeared but the new stars were there-- Peter Gregg, Roy Woods, Gregg Pickett, Ludwig Heimrath, Bob Tullius. In the Gold Cup group were some familiar faces: our own Eddie Miller driving the Haas Lola, Bob Lazier the Ward Auto Club Lola, Tom Bagley, Fred Phillips--all well-known SCCA drivers who did not disappoint the crowd at all. 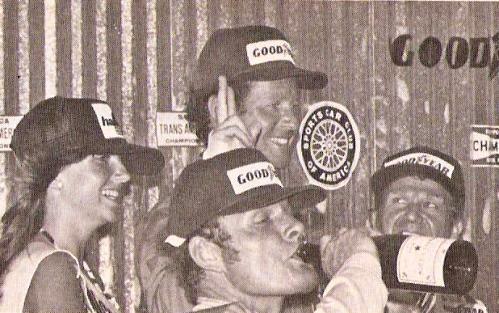 Being only a 2-day event, the Trans Am weekend was a little faster paced than the 3-day IMSA event preceeding it. Saturday was another hot day, 99 degrees officially and practice started early with the Sciroccos. These cars are allowed a few modifications which make them a little faster than their SSB counterparts and this was evident as a handful of SSB entrants filled in the back of the pack and stayed there. Lynn Pittman from Colorado was one of the amateurs we recognized. The Gold Cup Super Vees were the real speed demons with Tom Bagley setting a new overall track record of 1:16.9. 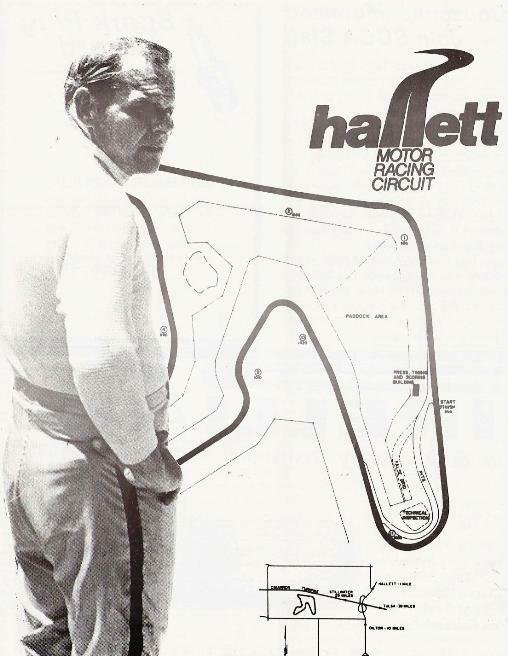 It’s been established on the old surface that Hallett is a Formula car course and Bagley proved it to be true on the new surface, beating even the Turbo Porsches’ time. Though not quite as fast as the Super Vees, the big Trans Am cars provided lots of noise and excitement and that, together with the name drivers, drew a pretty good Saturday crowd. The feature of the day was the Bilstein Scirocco race which seemed a little dull compared with our recent SS donnybrooks, but they put on a good show for the full 33 laps. Eddie Wachs won the event rather handily with Ted Roberts and Bill Deters having a good race for 2nd and 3rd, respectively. After the feature race, it was more Trans Am qualifying and the big boys were really getting it on by now. Happily, the track surface was staying intact. I was surprised at the rather quiet sounds coming from the Turbo Porsches. They didn’t put out nearly as much exhaust noise as the other cars; just a whistling rumble as the turbo came on but my, how they do fly! Another surprise was the racing Monzas driven by Roy Woods and Gregg Pickett. They are beautiful cars and in the early sessions, they were turning faster times than the Turbo Porsches of Gregg, Heimrath and Shelton, On the short Hallett course they seemed to have a slight edge. The Trans Am series, by the way, has two classes or categories. Cat II is for the all-out FIA classified cars, the Turbos and Monzas and Porsche RSR. The slower Cat I cars included the V-12 Jaguar, the Corvettes, the Porsche Carreras and 911 s, Camaros, etc. Bob Tullius in the XJS Jag was the pro-race favorite in Cat I but John Baur in the 911 was turning in close practice times. We had two home town entries to root for. We went prepared to root for Jerry Crew in his Mustang, but were happily surprised when John Saucier showed up in the bright red Number 4 Carerra of Larry Green. Seems Larry felt he needed a co-driver and John did so well in practice he wound up with a fulltime job for Sunday’s drive. Sunday was the BIG DAY starting with the 33- lap Gold Cup for FSVs. Tom Bagley had the pole with his record-setting 1:1 6.9 lap and it was Mr. Bagley most of the way as he lapped all but six of the 21 entries. Despite this, the spectators saw some great racing among the top six cars and the little FSVs definitely had class. Bill Henderson of Denver was 2nd with Eddie Miller in 3rd. Bob Lazier had given Bagley a real race for 30 laps and actually had the lead momentarily but spun out on Turn 6 and couldn’t get restarted! Number 4 until a broken fan belt required a lengthy pit stop. Jerry Crew had been plagued all weekend by gear box problems and he had more of the same but outlasted a bunch to finish 5th in Cat I. John finished in 8th after his pit stop, so the home town guys gave us something to cheer about. Editor's comment: Because John Saucier was listed as a co-driver, Larry Green is recorded as the driver and he got the TransAm points even though he didn't drive. Behind Gregg in 2nd and 3rd overall were the Turbos of Heimrath and Shelton, Roy Woods had a flat late in the race while running in 2nd place while Gregg Pickett in the other Monza likewise had to change a tire and never got close to the leader. In 4th overall and 1st in Cat I was Bob Tullius in the Jag, who drove his usual impeccable race. The rain came very lightly about lap 30 but it was never a factor. The cold air it brought sure felt good to everyone, though. In retrospect, we saw two weekends of highly entertaining racing and we must conclude It was a highly-successful opening of Toly’s facilities to professional racing. The press and TV coverage was outstanding and the spectators showed up in larger numbers than many expected to see. Another happy note: the ambulances never had to move the whole time, testifying to the track design Toly is so rightfully proud of.